The woman in her twenties who has recurrent yeast infections and wants to know about how to do a Candida diet…she is also really struggling in her marriage – doesn’t feel loved or connected to her spouse. The mom with young children who cannot seem to drop the baby weight, is often bloated, and has sugar cravings…she is also working a stressful job, has very little energy, and is haunted by a traumatic event that happened a few years ago. The woman in her forties who is struggling with multiple hormone imbalances resulting in multiple surgeries and medications…deep down she feels disappointment about her life and a fear that she has missed her own vocation. Though the physical and the emotional can seem totally separate, they are intricately connected. I am not saying the symptoms are “all in their heads.” I am saying that the physical, emotional, and spiritual are all part of the story and must be part of the healing process. Yet, it can be hard to see how these elements fit together and how to restore balance and vitality. It can also be hard to find some one to talk to who is willing to look at the whole picture. 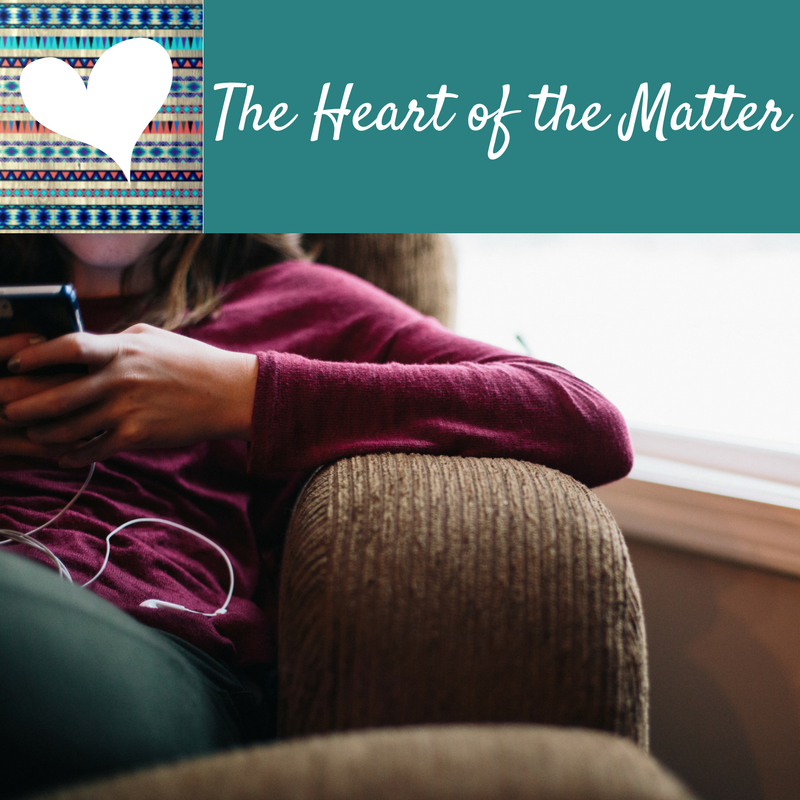 This phrase: “The Heart of the Matter” has been coming up for me often lately. You will find it scribbled in my planner, at the top of lists of ideas sitting beside my bed, in designs on my Canva (web design application) page. Many health practitioners talk about getting to the root cause or finding answers or tracking down clues like a health detective. Yet, I am drawn to the heart. I have found over the past several years of listening to people’s stories about their health, that I can almost see the heart of the matter rise to the surface in what they are saying. There are headaches, rashes, and low energy to discuss. But, there is always something more – something deeper below the surface that includes both underlying physical imbalances and emotions/fears they are holding onto. Something that is keeping them stuck, making their symptoms chronic. Once I can see something deeper, this directs the few simple action steps I recommend – addressing the physical is a key piece of the puzzle, and I honor the part it plays. We also talk through ways of addressing the emotional piece – stress, grief, fear. If they are open to it, one of my favorite things is to pray with my clients and teach them a technique to use on their own. There is great power in being honest about what is at the heart of our struggles, releasing feelings, and then listening to the still small voice – the Counselor, the Healer, the God who sees. Do You Need to Be Heard and Supported this Month? This February (a month when we’re inundated with images of hearts! ), I have carved out space for 10 “Heart of the Matter” Sessions. We will talk and pray, and you’ll receive 2 to 3 simple strategies to help you start feeling better. Or, you can email me to set up a time at sweetwateroffering@gmail.com.